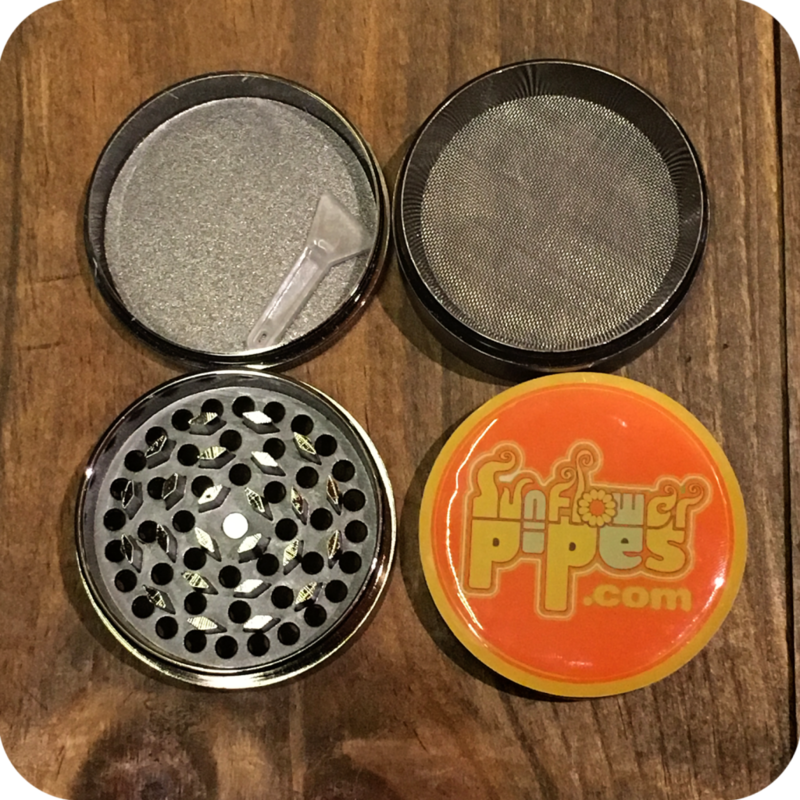 A sturdy 4 pieced stainless steel grinder with our very own Sunflower logo. This unique logo was designed by our very own artist in residence and owner of Sunflower Pipes. Behold! 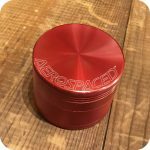 A practical 3 chamber grinder that will stand out among the rest. First, we start from the top. 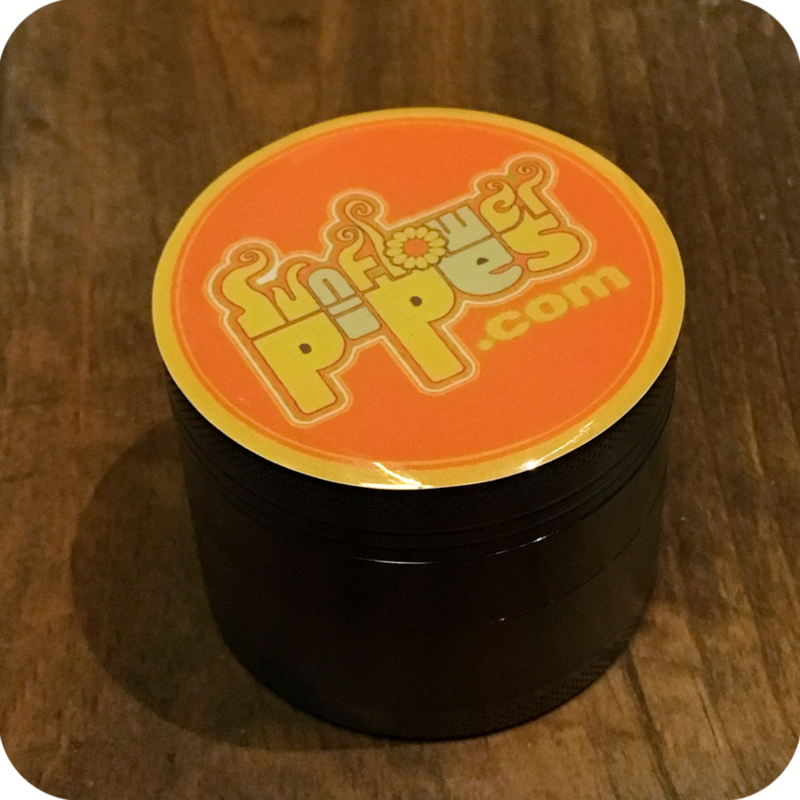 A magnetic lid covers the top of the first chamber, locking your legal herb safely and securely into its sharp teeth. With a simple twist open, you are led to the second chamber which is a spacious compartment meant for the storage of your finely ground herb. Finally the remaining chamber, which is also opened with a twist. A fine metal mesh material makes up the top of the final chamber therefore allowing only the smallest particles through from the second chamber. Give it a good tap when you’ve finished grinding to allow the pollen through. The smoker can conserve and collect any leftover pollen material in the final chamber which would otherwise be wasted. Opt for a more thorough approach rather than letting that precious pollen get stuck on your fingers. 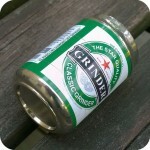 Grinders are a must-have for smokers of all preferences and experiences. Whether you prefer to roll your own cigarettes, vaporize, or use any type of pipe. Your devices will perform a noticeable amount better the more finely ground your herb is. The more finely ground your herb, the more enjoyable and longer the smoke session. Furthermore, the customer will find that collecting pollen is more important than they had previously thought before. Ditch the dirty fingers and the wasting of time and legal herb. 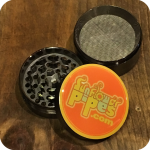 Represent your favorite local smokeshop with this functional smoking essential! 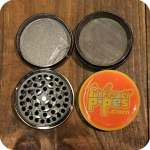 Our four pieced grinder with Sunflower Pipes logo is available in 3 different colors, please specify what color you would like- Black, Blue, or Dark Grey. Tags: 4 piece grinder, Brooklyn, brooklyn glass, brooklyn smoke shop, bushwick smoke shop, Grinder, new york city, nyc smoke shop, pollen catcher, retro, stainless steel, sunflower, Sunflower Glass Co, Sunflower Glass Company, sunflower pipes, williamsburg, williamsburg head shop, williamsburg smoke shop.